I get the same problem on my mac. 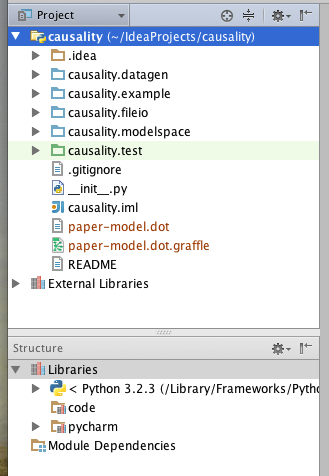 Same idea/mac version, also update the python plugin. I saw this ticket http://devnet.jetbrains.com/message/5483967#5483967 but the solution in this thread won't solve the problem. I agree that this is a different situation. I proved my modules all exist when I downgraded to the previous version and everything worked fine. JetBrains: Could we please have a reply? Please attach the screenshots of the project view and the project structure dialog. The attached project-view-lost-files.png shows the broken Project view in 12.1.1. The other - project-view-correct.png - shows what it's supposed to look like. I've also attached the .iml and modules.xml files from my project. I'm happy to provide whatever else you need. Note: I just verified that the problem still exists after upgrading from IntelliJ IDEA 12.0.4 to 12.1.1, which, upon first run, asked to also update python plugin from 2.10.0 -> 2.10.1 . I'd really appreciate your help in figuring out what is wrong - it would be nice to take advantage of your hard work in the new versions, esp. the python plugin, which we use a lot. The module file looks correct to me. 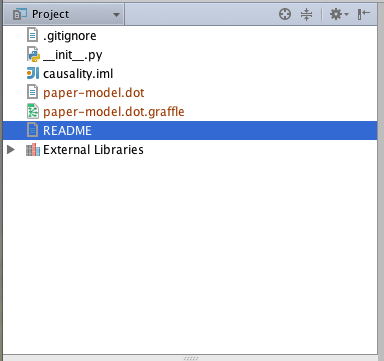 Could you please check if your project path is included in the list of paths of your selected Python SDK? This could cause it to be displayed under External Libraries rather than in the root of the project view. Scratch that - I didn't test carefully, and my 'solution' broke the code. Please: JetBrains folks: Could you have a look at this and tell me what more I can do?